If you’re ready to claim and activate your Starseed Power, so you can live life on purpose and heal the Earth, I’m your guide on your journey. Margarita Alcantara is activator of the New Code of Power for our planet, activating the power codes in others, as well as portals of power on Mother Earth. She does this by opening the door to the source of true Power, to clear artificial power and unify Earth into Light. She is also a Mouthpiece for the Goddess Consciousness, an embodiment of Mother Gaia, Conduit Between the Star Nation and Mother Gaia, Chakra Expert, and Catalyst for Awakening. Her worldwide Global Activation Experiences create personal and planetary transformation. 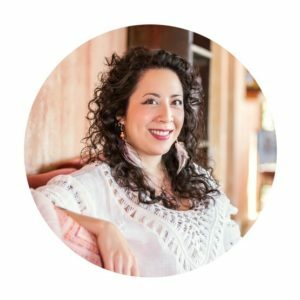 As a Licensed Acupuncturist, Reiki Master/Teacher, and Medicine Woman, she helps her patients awaken into their spiritual badassery at her private practice in NYC. Her weekly Monday Facebook live event, the Mother Gaia Power Portal, channels powerful healing activations from the Goddess. 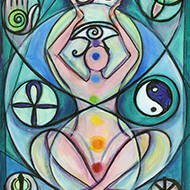 Her book, Chakra Healing, was recently published by Althea Press. Reclaim your “inner healer” and embrace your gifts. 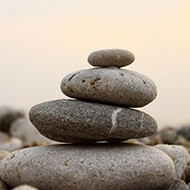 Reconnect to your Heart and Spirit, thereby integrating total health on physical, emotional, and spiritual levels. Transform yourself into an even more whole being who releases outdated stories of old emotions and memories that no longer serve you, and replaces it with self-knowing and inner peace, so you can thrive as the high vibrational being that you are. I have been experiencing serious back pain. I was reluctant to see a chiropractor and decided to try acupuncture. I have had acupuncture in the past, but the sessions with Margarita are different, and by far the best. 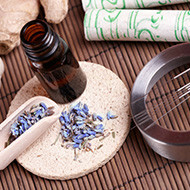 My weekly acupuncture/reiki sessions have become central for my well being. Not only do they immediately alleviate the back ache, they have also provided me with an inner well being and balance that keep me going all week. I am very grateful that I came across Margarita. Her treatments seem to just be magic. I strongly recommend her. I started practicing marital arts and my body went through a natural painful readjustment of its structure. Margarita put me back together and in line with myself. I was able to continue my martial arts practice without the initial pains, and focus more on learning the discipline. Due to stressful situations in my life, from time to time I need some readjustments, mostly related to my energy and involving my liver and kidneys. A couple of sessions with Margarita and I’m back on track again. I haven’t felt so at ease in a very long time. I feel like my batteries have been recharged… I’m now ready to face things with a clear mind without being entangled in emotions. Thank you for giving me the tools to face any challenges through self-love and crystals.